Kevin and his team welcome you to the Hotel ibis Budget Orange Centre! The ibis budget Dieppe Centre Port hotel is ideally located in the city center, a short walk from the train station, the port and the beach. With air conditioning and a 24-hour reception, this stylish, newly built hotel is 100% non-smoking. 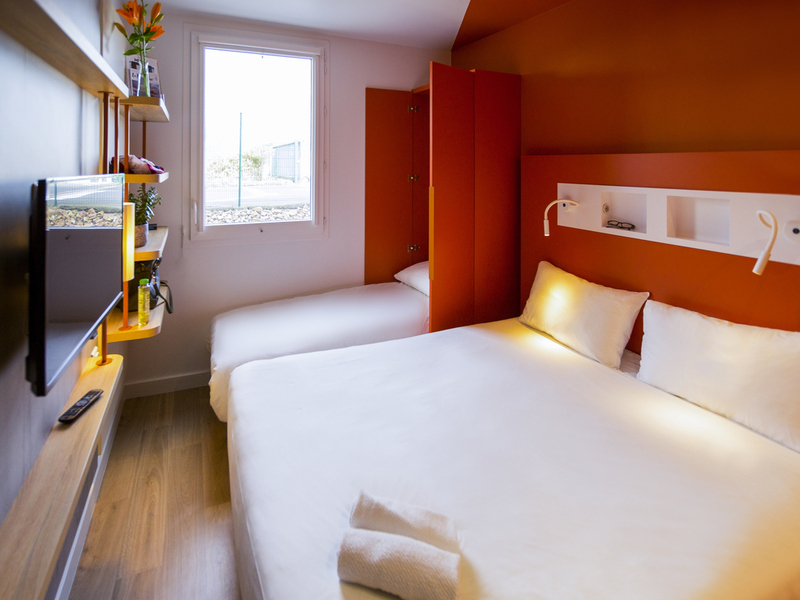 Rooms are equipped with a large bed for 1 or 2 people or twin beds. Some rooms are also equipped with a single pull-out bed for a third person. The hotel also offers free WIFI and an enclosed car park (charges apply). Family Room equipped with a large bed and a single bed. City-center location! Within walking distance of the train station, port and beach. Double - Room with 1 large double bed. Triple - Room with 1 large bed and 1 pull-out bed.